HOLDING POSITIONS" UNIQUE SWIVEL HEAD FOR STRETCHING ANGLES OR CORNERS. LOW PROFILE HEAD COMPATIBLE WITH A KNEE KICKER. STANDARD 18" TAILBLOCK INCLUDES A FOAM WALL PROTECTOR AND WHEELS FOR EASY REPOSITIONING. 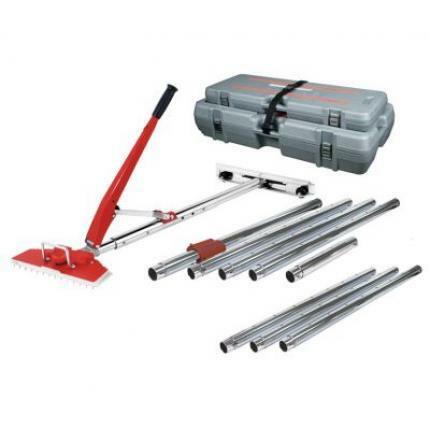 * Please call us with any questions about our carpet power stretcher kit rentals in South St. Paul MN metro area.